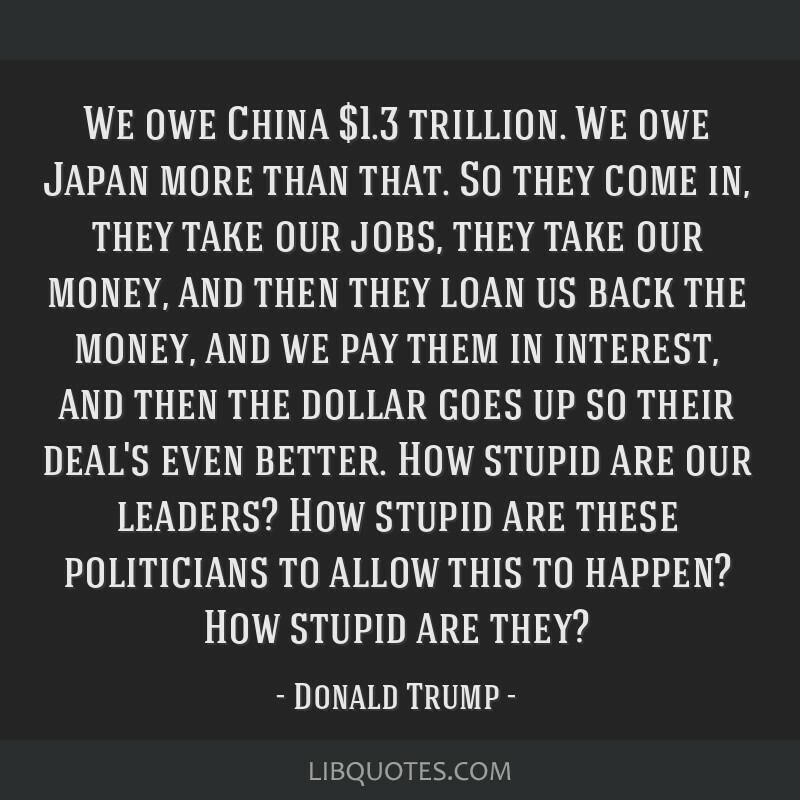 We owe China $1.3 trillion. 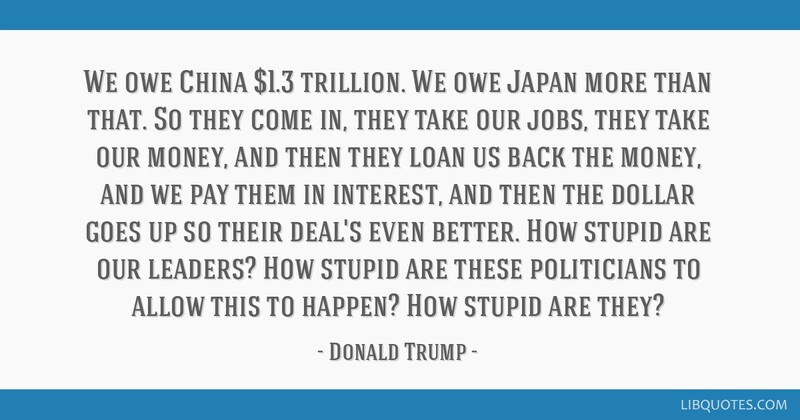 We owe Japan more than that. 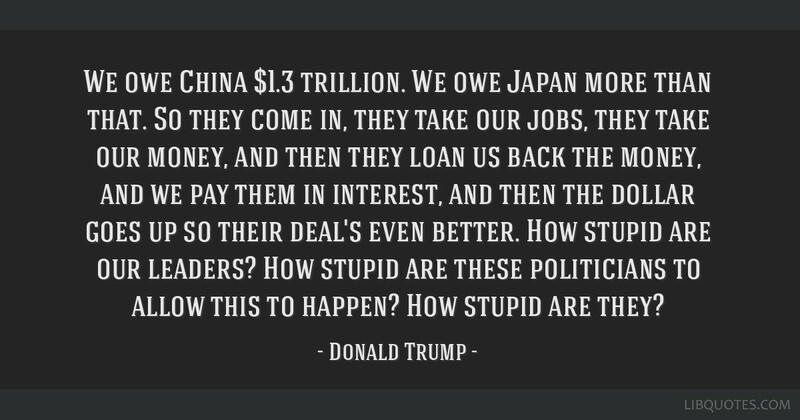 So they come in, they take our jobs, they take our money, and then they loan us back the money, and we pay them in interest, and then the dollar goes up so their deal's even better. 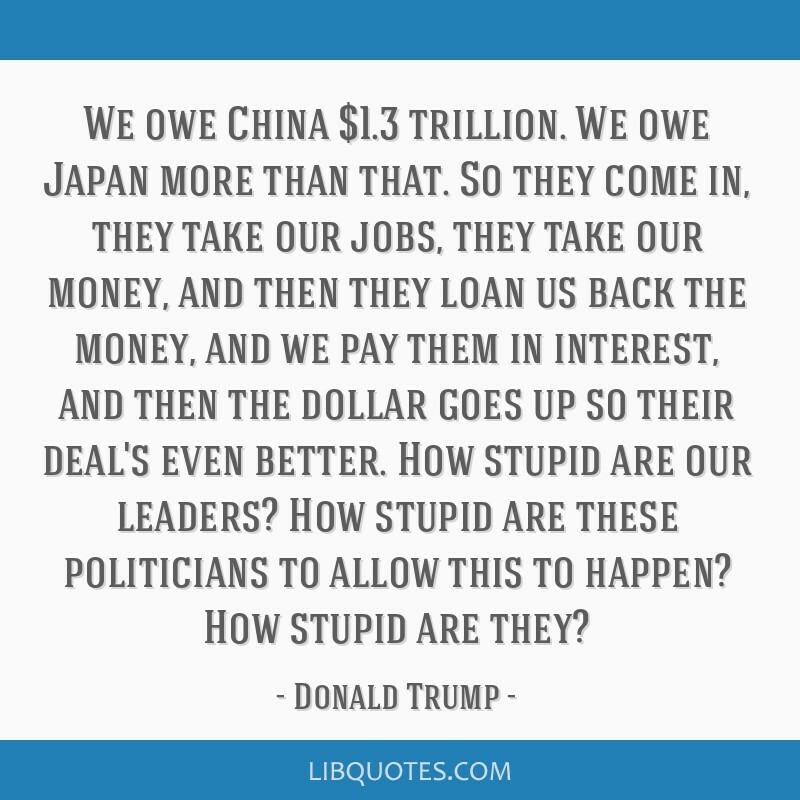 How stupid are our leaders? How stupid are these politicians to allow this to happen? How stupid are they?